Will Butler isn’t the only Butler brother in Arcade Fire experimenting with solo work. 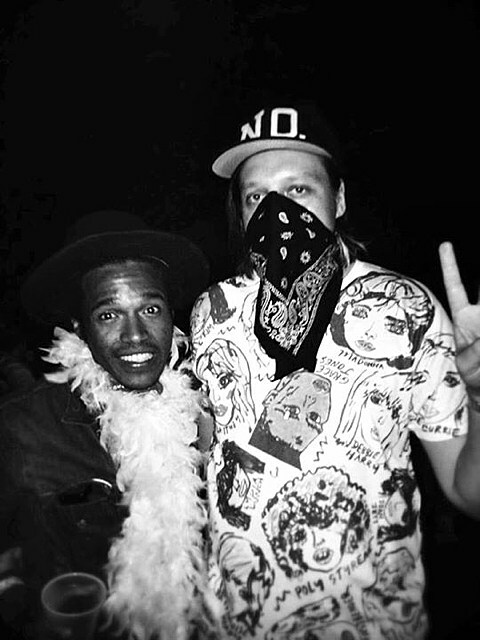 Will’s older brother Win, who also happens to be Arcade Fire’s frontman, performed a DJ set at One Eyed Jacks in New Orleans at the beginning of November. He billed himself as “DJ Windows 98″ and shared the bill with Thundercat and Peanut Butter Wolf at the Pitchfork-sponsored event. In the audience that night was rising New Orleans singer-songwriter Benjamin Booker who posted the above picture of he and Win to his Facebook. Days later Booker headed up to NYC to perform sold out shows at Mercury Lounge and Baby’s All Right. He also appeared on WNYC’s Soundcheck while he was here. You can listen to that appearance below. Today, Benjamin announced a tour that has him returning to an even bigger venue in NYC, Music Hall of Williamsburg on April 3 (presented by WFUV). Tickets for that show go on sale Friday (11/14) at noon with an AmEx presale starting Wednesday (11/12) at noon.